Today’s Throwback Thursday is a milestone, at least on a personal lifetime note. 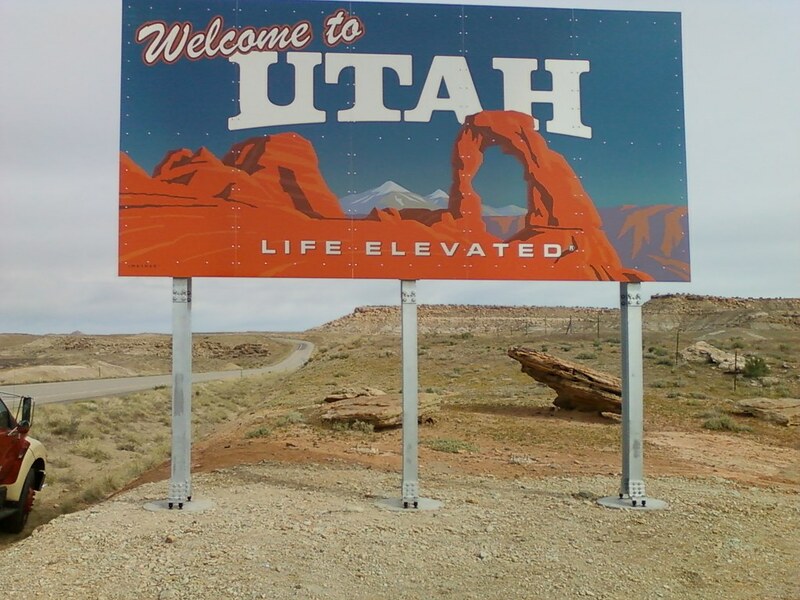 Thirty years ago, I arrived in Utah to live, work and play. It was December 28, 1987 that my then wife Denise and I drove to Utah with whatever belongings that we had personally collected over the years as residents of California, along with the few things we had acquired as a newly married couple [just 6 months prior in June 1987], packed into a car and U-Haul moving van and found our way to Orem, UT, to live in a 2 bedroom apartment with a rent of $350 a month. We lived in that apartment for almost three years before building a brand-new home, at a cost of $83,000 in September 1990. Those almost three years were spent working at Word Perfect, attending 3 semesters at BYU [I eventually left/got kicked out, after breaking the Honor Code of not wearing socks with shoes – that’s a bar story I’ve told many times over the years], and made some new friends along the way. There were a few times over those 30 years that I tempted to move back to California, where I grew up and lived from birth till that move date in 1987. One of which was a job offer that came in March 2001, and would have paid me $114k a year and a move to Mission Viejo, CA. I turned it down as I was going through a divorce with Denise and didn’t want to leave my daughter Tiffany during that time. In hindsight, I could have probably made it work, but I feel I made the right decision. Especially after hearing in 2004, the company that made me the offer, closed their Mission Viejo location. And where I’ve lived in 8 residences in that same 30 year period. A lot of memories have been made here and while I still feel there is a move out of this state in the next 5 years, for now, Utah is my home, all of the great and odd and quirkyness that it has been. 30 years in Illinois this past June for me. Although I also went to college in that time so I spent a semester in Iowa during this 30 years. One home in Naperville, two in Geneva, and several dorm rooms and two apartments in DeKalb. Oh wow. That’s cool you reached a 30 year milestone. Makes you think about life in one place. Congrats on 30! I need to hear this no socks story. LOL. Do you think you will move to CA after 5 years? Thank you, Kim. And yes, there will be a throwback Thurs post at some point soon with the BYU no socks story. As for being in Calif in 5 years, I can’t say for a certain that will happen. Congratulations. 30 years sure is some milestone! Thank you, sir. Appreciate the milestone congrats.